A collaboration between rail safety power monitoring specialist Bender UK and signalling and rail infrastructure power experts Giffen Group aims to set a new standard for safety and reliability on UK railways with a single source solution for identifying and fixing power cable faults to avoid costly downtime. 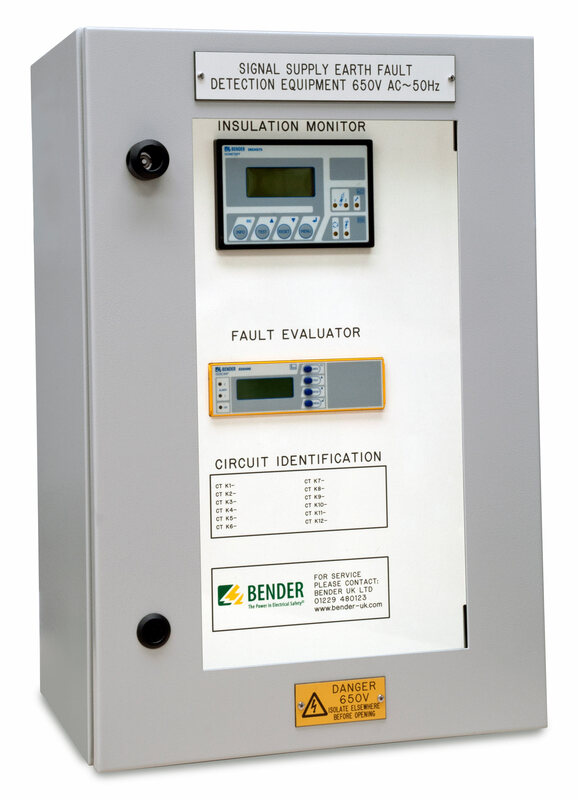 Bender UK supplies the Rail Signalling (RS3) integrated insulation monitoring and earth fault location system which is used extensively by Network Rail with more than 400 installed devices protecting railway signalling electrical systems and equipment in relay rooms and line-side locations across the UK. Giffen Group specialises in electrical, signalling and power works across the rail infrastructure and is recognised for the delivery of installations in highly regulated rail network environments. 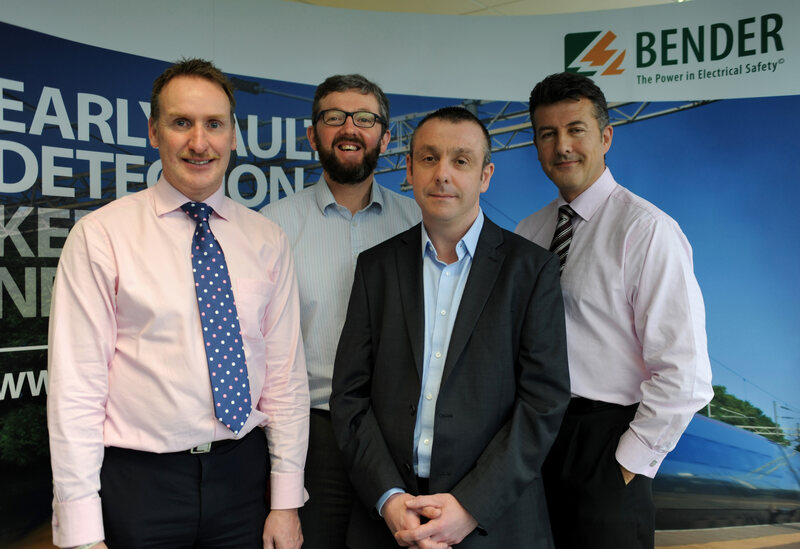 Together they now seek to offer a complete solution for rail network operators through the supply and installation of the Bender RS3 equipment to provide early warning of faults often caused by rodent damage to cabling or deterioration through age, wear and tear or environmental elements. Once the Bender equipment has identified faults, Giffen Group has the manpower and expertise to carry out the remedial work necessary to ensure the system delivers enhanced safety and maximum availability. Giffen Group holds a Network Rail Principal Contractor Licence (PCL) and directly employs over 140 project managers, engineers and technicians experienced in rail installations. The RS3 system developed by Bender for Network Rail enables the operations team to identify issues before they become critical and plan maintenance to avoid system faults and unplanned shutdowns. Each unit incorporates GSM-enabled data loggers equipped for real time communication with the rail system’s Intelligent Infrastructure. The system can precisely identify the location of a fault enabling maintenance teams to respond more rapidly, enhancing safety and reducing costs. However operational pressures can delay the installation of the units. Once they are installed and faults are identified, the remedial work can put extra pressure on the rail network operators already working hard to maintain almost 10,000 miles of track. Giffen Group project managers, engineers and technicians are highly skilled in delivering HV, LV and DC electrical, signalling installation and testing works, and also have extensive experience in preparing and carrying out enabling works, providing consultancy services and functional support to clients in the early stages of construction. A continuous programme of training and development and ensures Giffen Group’s engineers and technicians remain industry leaders and experts in their specific technical fields. Bender UK Managing Director Steve Mason and Giffen Group’s Michael Ewart will both be at Railtex 2015 on the Bender UK stand J81 to discuss the collaboration between the two companies and explain the benefits for customers. Visitors to the stand will be able to view the advanced integrated intelligent monitoring equipment designed to safeguard signalling power systems and new self-contained portable case-mounted units used by maintenance crews to identify earth faults and independently test the RS3 equipment.